In this Hercules tapestry, we see the strong Roman and Greek god, son of Zeus, and is the symbol of adventurousness. Here Hercules is seen holding up the globe, and surrounded by admiring members of the local villagers. The skies are represented here by celestial formations of stars with animal representations, and angels flying above. 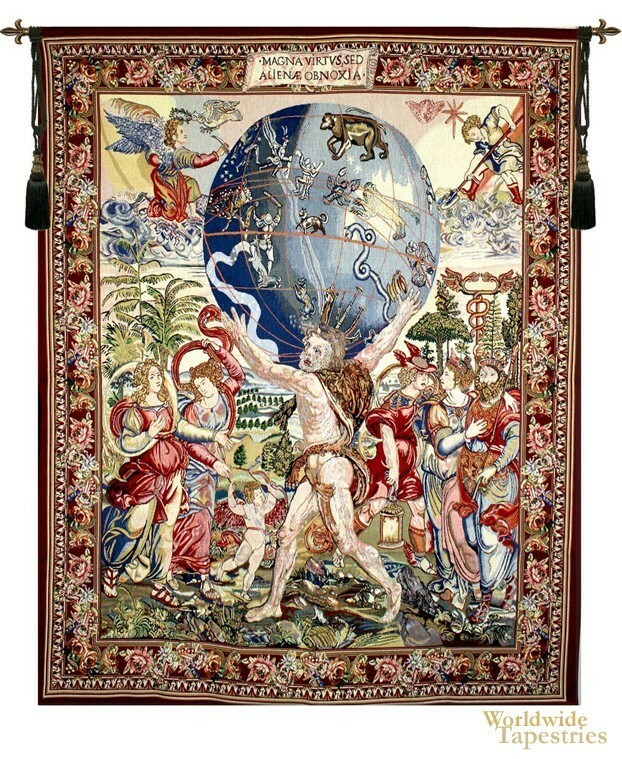 This Hercules tapestry is backed with lining and tunnel for easy hanging. Note: tapestry rod and tassels, where pictured, are purchased separately.